Whether you're in need of roof leak repair or a total roof replacement, Bill White Roofing and Specialty will handle your roofing project with skill and efficiency. We have been working in the Vestavia Hills area of Alabama for over 45 years. We have been told by our clients that we are the most reliable and dependable roofing contractor Vestavia has ever known. So what sets us apart from the rest of the roofing companies in Vestavia, you may ask? We truly care about your roof and want it to be as stable and sturdy as possible to keep you and your building safe from the crazy, unpredictable Alabama weather. Our business is based on quality work and customer satisfaction. We hand nail every aspect of the roof instead of taking shortcuts by using nail guns. We replace all damaged or rotting boards from the roof deck instead of covering them up. When it comes to pricing, we will tell you like it is and we won't try to sell you something you don't need. We clean up thoroughly after each project and have often been told that our clients did not even realize we had been there besides the fact that they had a new roof. We offer roof repairs, roof replacements, roof inspections, gutter repair, gutter replacements, gutter coverings, and many other roofing services. Check out the rest of our website, fill out the contact form, or give us a call at (205) 942-8374. Located on the crest of Shades Mountain, Vestavia is a wonderful part of the Birmingham metro area. The city was named after the 20 acre estate originally owned by the former mayor of Birmingham, George B. Ward. 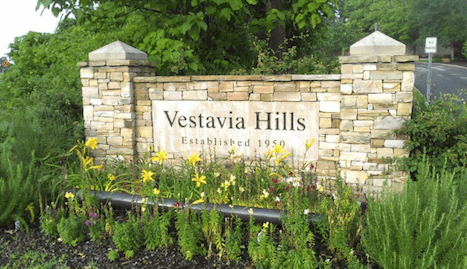 The Vestavia Hills area of Birmingham has grown rapidly since 1946, when the first residential suburb was built, and is now home to over 34,000 residents and countless businesses. Here at Bill White Roofing and Specialty, we not only enjoy working on roofs in Vestavia, but we also like to spend time frequenting the numerous restaurants, shops, and attractions in this part of town. Whether you own a home or business in Vestavia Hills, you can be confident that you can depend on us for any of your roofing needs. We always say "Your roof is our roof" and our work truly reflects that statement. We won't cut corners, we pay close attention to detail, we're friendly and respectful, and we appreciate every opportunity we get to help a family or business owner with their roof. Please give us a call to schedule a roof inspection and let us know how we can help you with your roof.